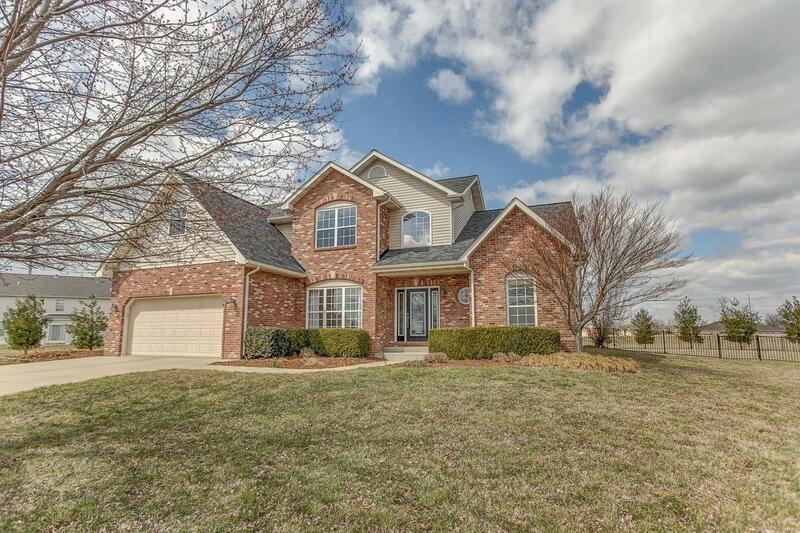 ABSOLUTELY move in ready!! 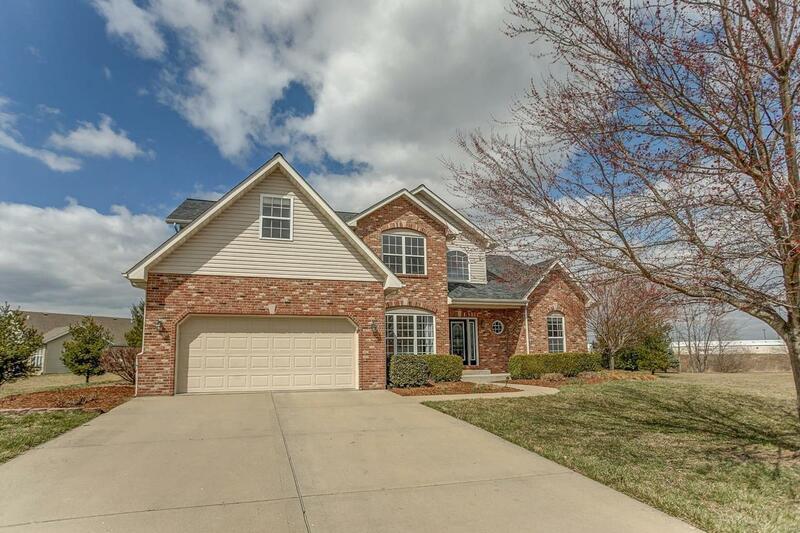 Just recently painted and with fresh new carpet, this regal home sits on over a half acre fenced lot on a cul de sac. 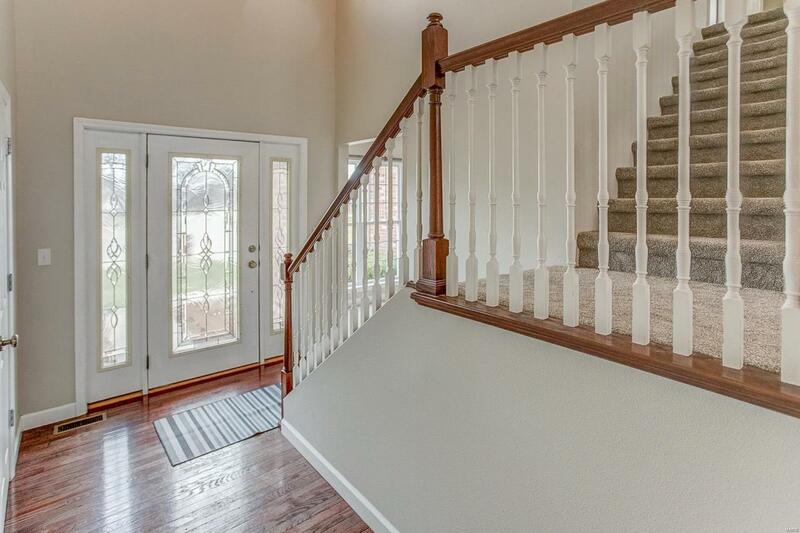 The two story living room has beautiful windows and a gas fireplace. 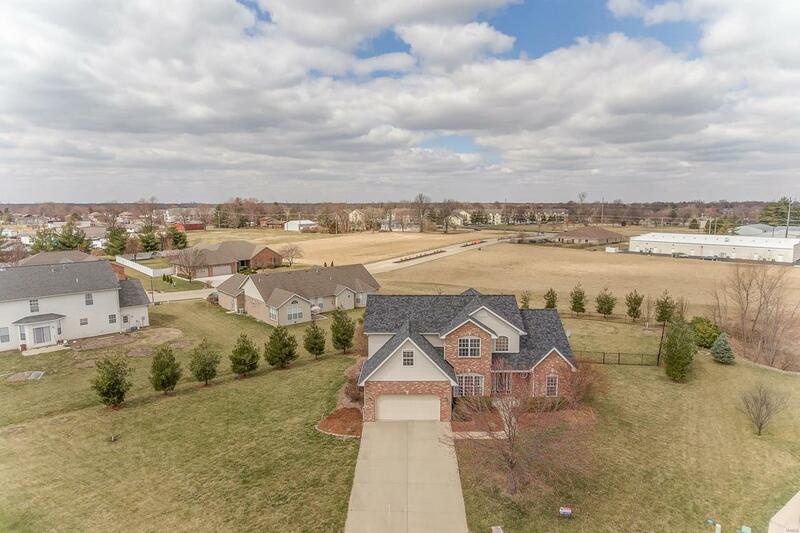 The master bedroom is on the main level with a large walk in closet with built in custom cabinets and a full master bath with soaking tub, separate shower, and water closet. The formal dining room opens to the large kitchen with breakfast bar, eat in kitchen and hearth room with a wood burning fireplace. The laundry is conveniently located near the entry to the garage. Upstairs there are three more bedrooms and a jack and jill bath for one of the bedrooms. Tons of storage in their walk in closets! The finished basement offers a beautiful bar with dishwasher and oven and granite counter tops. ANOTHER gas fireplace in the family room, rec area, and a finished bonus room (no vent in this room), and a 3/4 bath. NEW ROOF! Woflbranch schools and minutes to Scott AF Base!